from the University of Missouri – Kansas City. For her MSW practicum, she will work with MFAF’s Teen Empowerment Collective (TEC), youth programs, Women’s Group and aid in identifying mental health needs. 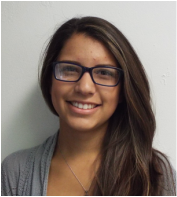 Ana joined the staff as a Miller Scholarship summer intern in 2016 and worked with MFAF’s summer Literacy Program and other client services. Now beginning her second year at Rockhurst University, Ana is majoring in Spanish and pre-Physical Therapy and works part-time with MFAF’s outreach services. 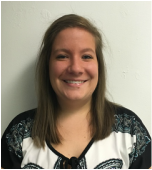 Kaylee started as MFAF’s Healthcare Case Manager in June of 2016. She is a Midwest native and has worked and interned for several nonprofits. She graduated from Indiana University with a BS in Public Affairs and the University of Denver with a MA in International Studies. Leadership Studies. She graduated from University of Missouri-Kansas City in May, 2014 with her Masters in Social Work with a concentration in Immigrant and Refugee Rights. Meaghan works with refugees and their families at Jewish Vocational Services. At MFAF, she works part-time coordinating the Girls' Group sessions and individual meetings with teen girls and their families. attorney position at Legal Aid of Western Missouri in 2013 after 37 years of service. She manages MFAF full-time. Lina is from Austin, Texas; graduated from Mount St. Mary's University in Emmitsburg, Maryland, with a degree in International Studies and Spanish. She joined MFAF in 2017 as a volunteer with the Jesuit Volunteer Corps. She leads the TEC, teen leadership program; coordinates and interprets for MFAF's Parents as Teachers (PAT) home visits, and assists in other MFAF programs and services. Elizabeth Reid serves as Program Director. She first joined the staff as a Migrant Advocate, in July 2015. She graduated from Rockhurst University with a degree in Spanish and Psychology in 2012. Following her graduation from Rockhurst, she spent two years serving in Belize City, Belize with the Jesuit Volunteer Corps – International Program. Elizabeth assists with medical case management and the Women, Infants & Children (WIC) program.